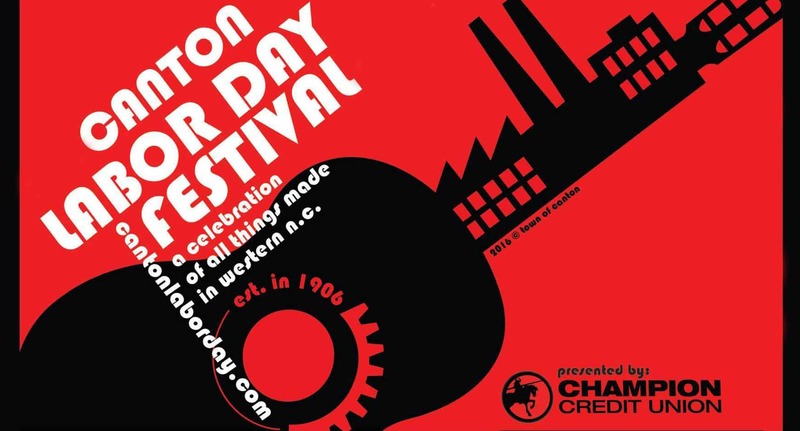 Canton’s Labor Day festival began in 1906 as a celebration of the Western North Carolina worker whose grit and fierce determination led to the construction of the Champion Fibre Company paper mill that would persevere through a great depression, two world wars, and two buy outs. Now a subsidiary of Evergreen Packaging, the mill employs 1,200 workers and boasts 600 union jobs. To continue the celebration of hard work and determination enjoy this two day outdoor festival that has featured a music line up of Sam Bush, Ricky Scaggs, Balsam Range, Chathan County Line, David Holt, and Joe Lasher Jr. to name a few. Bring your own lawn chair to relax in. Parking is available throughout downtown and the parking lots surrounding Sorrells Street Park. All parking is FREE. Canton Labor Day Festival is always seeking quality craft and food vendors to join the Festival. Please contact Lisa at [email protected] or 828.648.2363 to receive an application.